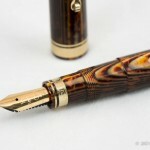 For those obsessed with pens, as I have been over the past two years, the simple act of receiving a new pen (or five) often becomes part of the thrill of the hobby: The constant refreshing of the UPS Tracking website; the jolt you receive when you open the PO Box and see a key to the package locker; the stab of excitement when you receive an email from the office receptionist that FedEx just dropped off another package addressed to you; the sound of cutting and ripping tape; the 15-minute ritual of unwrapping bubble wrap and layer upon layer of blue plastic (if it’s a package from Goulet Pen Company); the feeling of opening the pen coffin and seeing the shiny new writing instrument nestled in place; the ritual of flushing the pen; the agonizing process of picking the first ink to use in it; and, perhaps most importantly, the expectation you experience the first time you put the nib to paper. The entire process is a glorious one, and a huge part of the reason why I must constantly be on guard lest I find myself drowning in credit card debt. 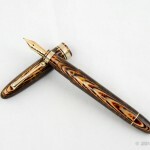 Most of the time, the new pen ranges from good to great. 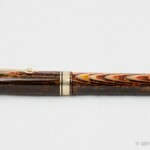 Every now and then, you experience the disappointment of a real dud of a pen. 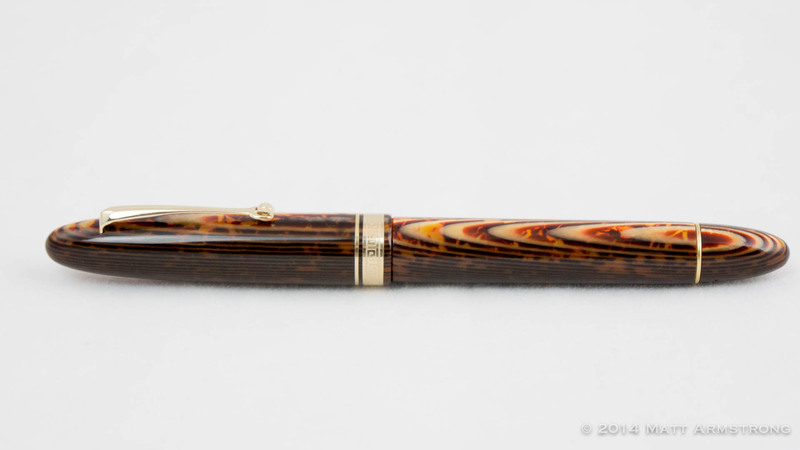 And rarely–ever so rarely–you come into contact with a pen that is such a perfect fit it threatens to bring your days of pen acquisition permanently to a close. Because, really, how could you ever find anything better. 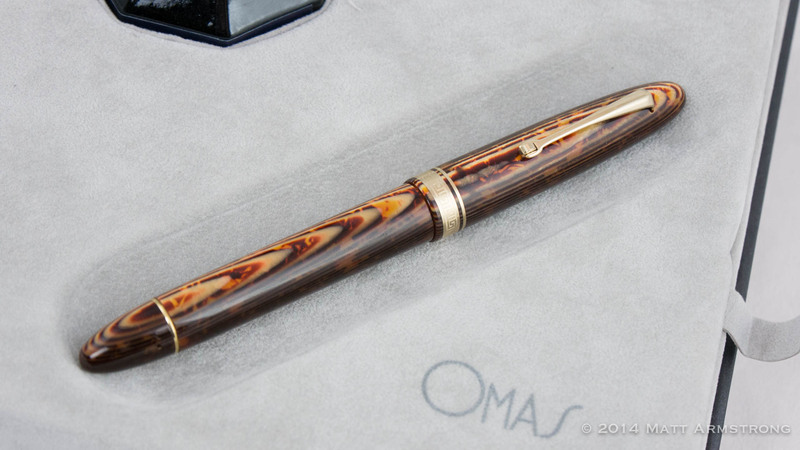 Made from OMAS’s signature Brown Arco celluloid, this limited edition OMAS Ogiva just about took my breath away the first time I saw it. 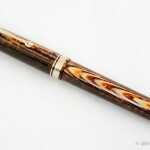 I had seen photographs and video of the Brown Arco celluloid, but I had never seen it in person. Nary a picture or video I have seen does the material even the slightest amount of justice. But I am getting ahead of myself. 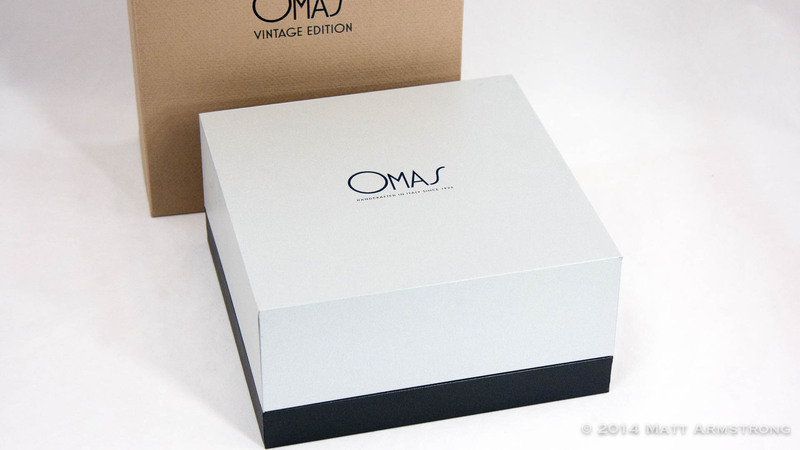 The pen comes in a large, lovely, silver-grey box with the OMAS logo on the front. 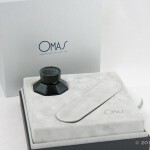 The top lifts off to reveal a flocked grey inner tray with a cutout for a bottle of OMAS ink and slot for the pen. 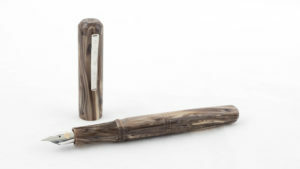 The pen comes inside a grey suede pen sleeve. 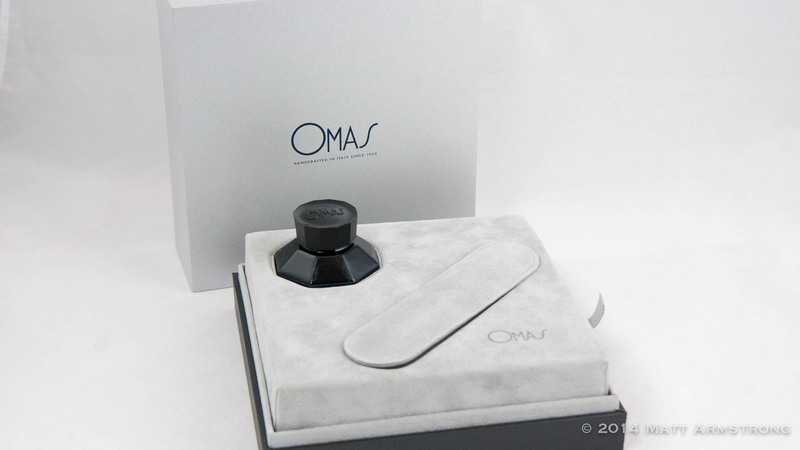 The inner tray also lifts off to reveal the booklet and warranty cards for the pen. 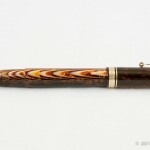 The pen’s profile is a fairly standard torpedo- or cigar-shape. 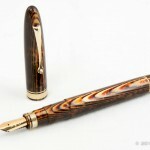 It’s a larger pen, at 149mm, capped, but it doesn’t look that large, likely due to the pen’s graceful, arcing curves. 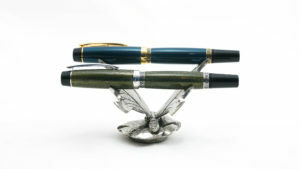 The special edition Celluloide version of the Ogiva comes in two finishes, a lovely Verde Saft green, and the brand’s signature Brown Arco. As far as I was concerned, there was only one option even worth consideration. 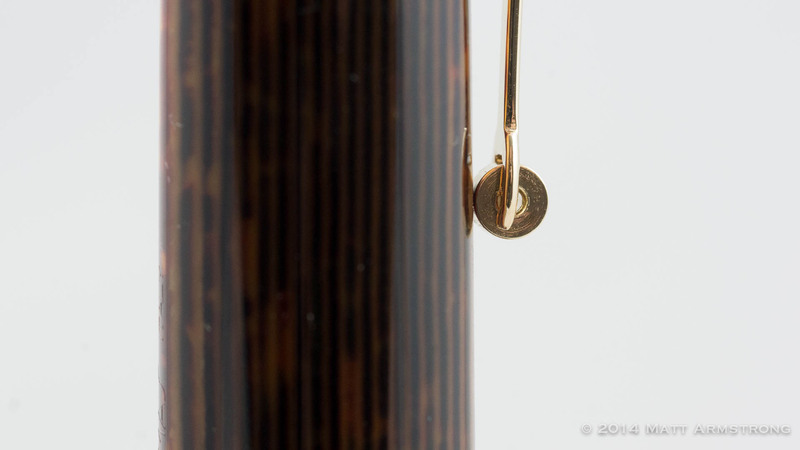 The gorgeous material is complemented by gold hardware. 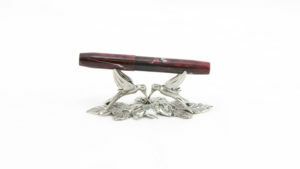 The clip is solid with only a minor bit of give, and ends in a roller whee. 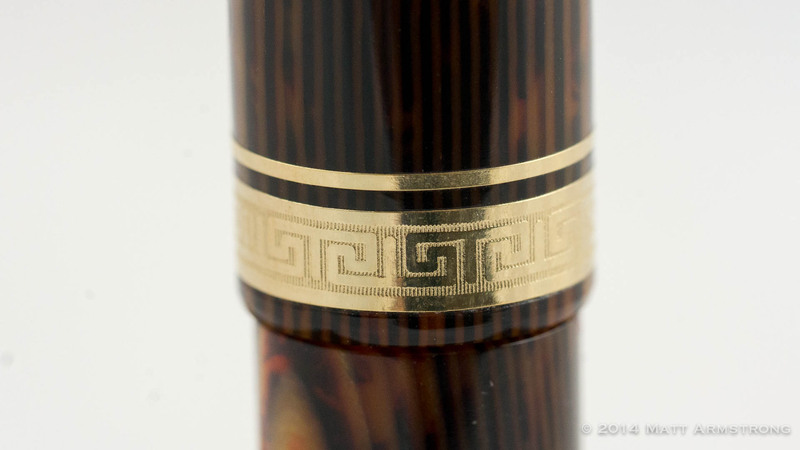 The gold cap band that runs around the pen is etched with the greek key design found on many OMAS pens. 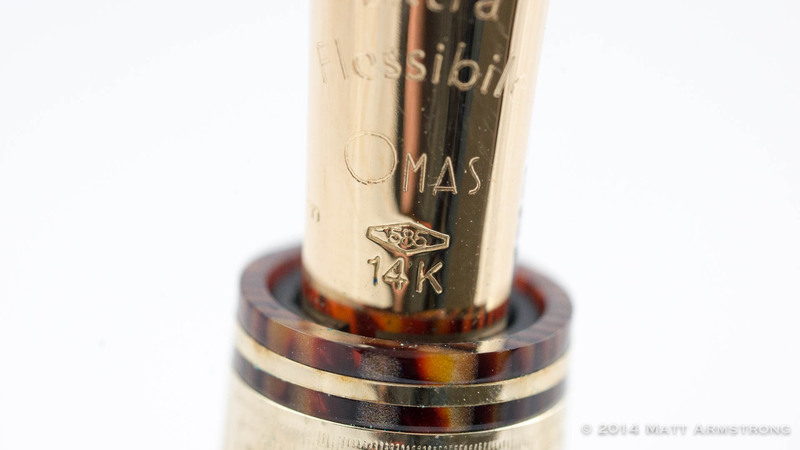 There is also a small gold ring that separates the knob which operates the pen’s piston filler. 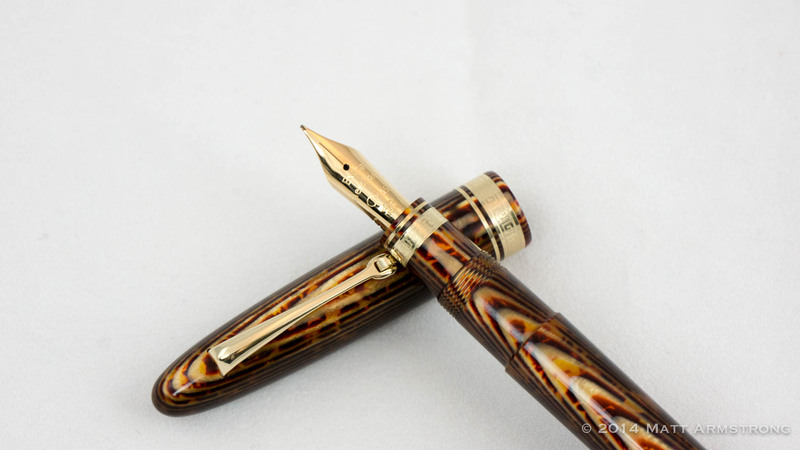 The pen’s piston filling mechanisms was a little more “sticky” in the operation than I was expecting for a pen in this price range. 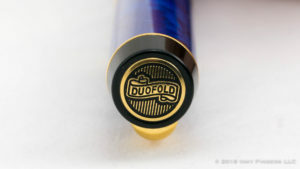 When compared to the silky smooth mechanism in my Pelikan M800 and M600, it felt a bit more plasticky and rough than I would have liked. I didn’t have any issues with inking up the pen, however, and over time, the mechanism has seemed to smooth out a little. 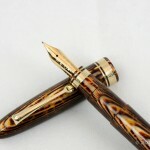 As a piston filler, the pen will hold a goodly amount of ink. 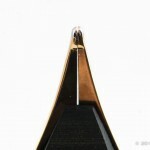 The threads on the pen’s cap mesh smoothly with those on the section, with little slack. 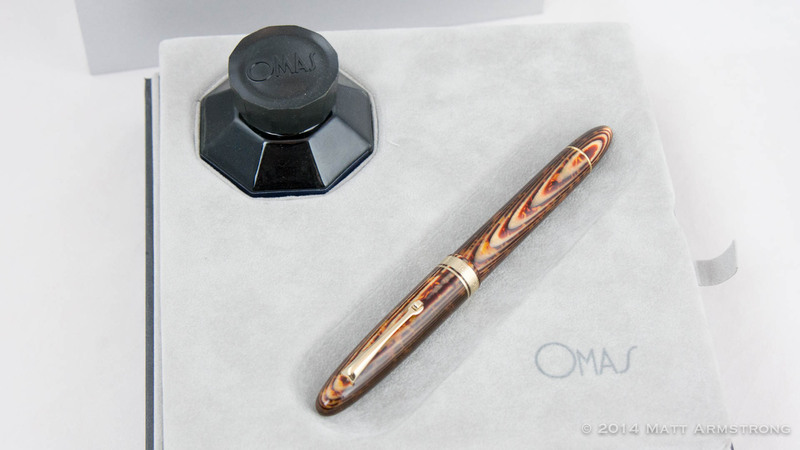 My only real complaint with the pen is that, for some reason beyond my comprehension, OMAS designed the pen so that the threads were smack-dab in the middle of the section, right where I hold the pen. Why they couldn’t move them further up the barrel and out of the area of most people’s standard grip is beyond me. 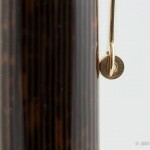 Fortunately, the threads are well-polished, and even immediately under my grip, I was never bothered by them at all. 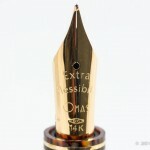 The Ogiva can normally come with an 18k nib in a variety of standard sizes, but OMAS also sells a 14k Extra Flessibile (and no, that’s not a misspelling) nib in both fine and extra-fine. 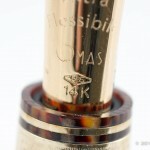 I opted for the 14k Fine Extra-Flessibile nib on my pen. 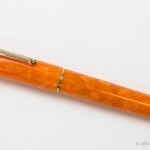 Not to oversell it, but this nib kinda changed my life. 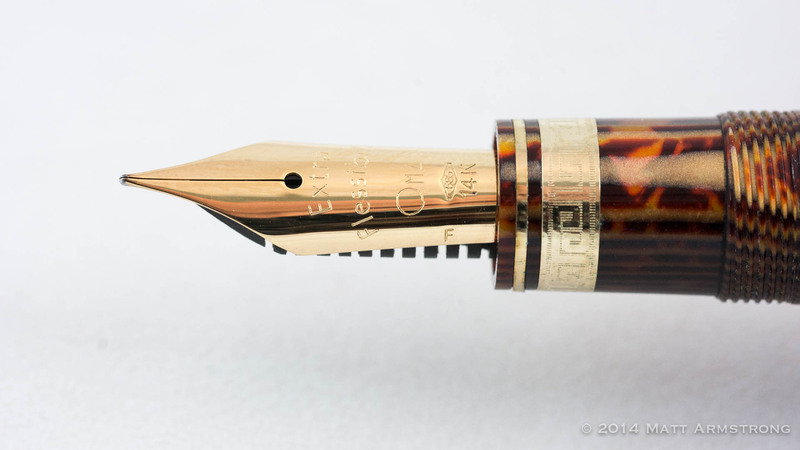 I have, over the last couple of years, become exceedingly wary of any modern nib sold as “flexible.” Most modern flexible nibs simply aren’t: at least not in comparison to vintage nibs. 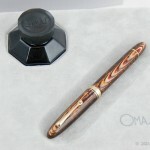 The OMAS Extra Flessibile nib is, aside from the Pilot FA nib, perhaps the most flexible modern nib I have ever used. 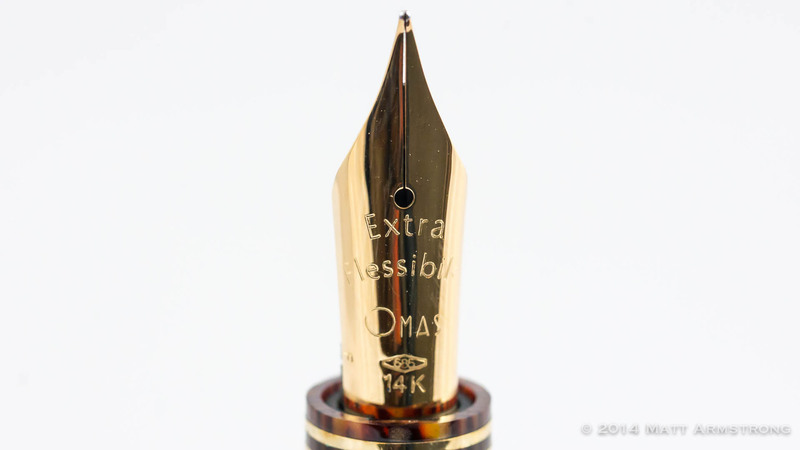 It lacks some of the fast snap-back action of a vintage flex nib, but it can put down some lovely line variation. 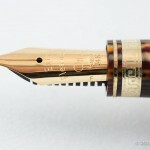 This is not a nib I would suggest to folks unfamiliar with writing in flex, however. 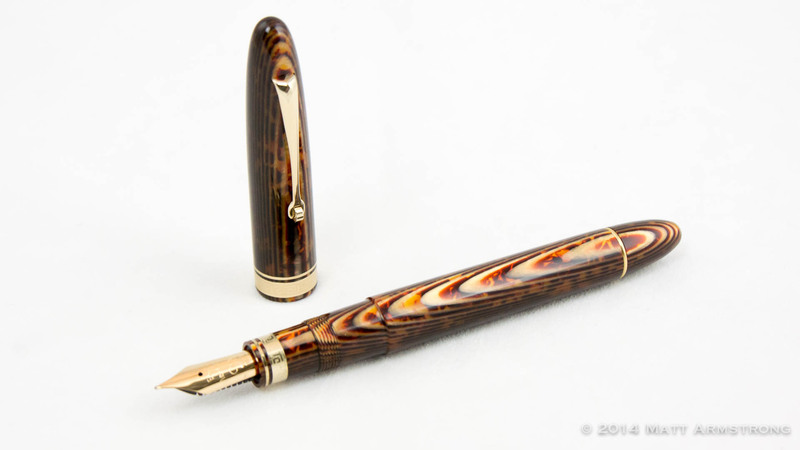 It’s got a softness to the writing experience that could tend to make those with a heavy hand spring the nib, which would be a true shame. Overall, writing with this pen is nothing short of miraculous. It’s juicy and wet. 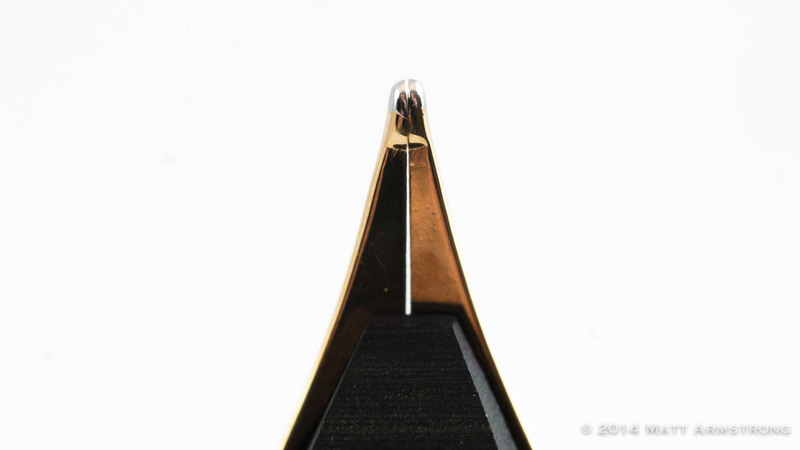 Even without flexing at all, the nib bounces quite a bit, giving a nice subtle line variation with no pressure. 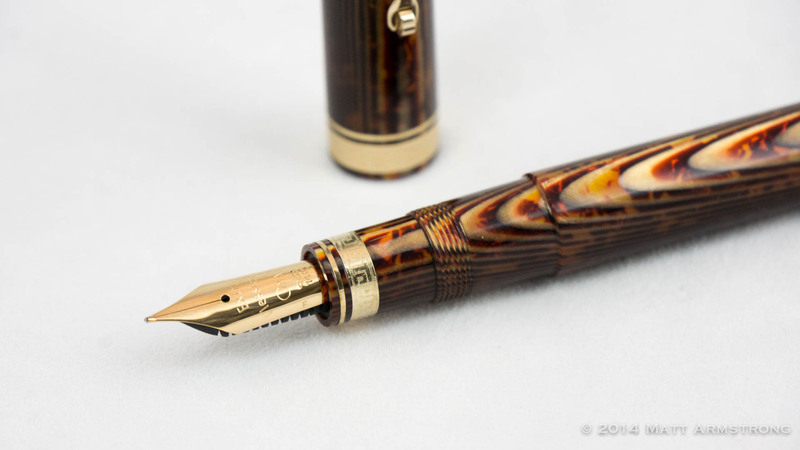 The nib is extremely smooth, even when flexing. 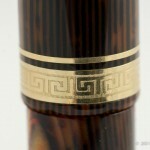 The ebonite(!) feed does a truly spectacular job in keeping up with writing, even when writing quickly or with a fair bit of flex. Every great once in a while, it will act as though it has run out of ink entirely, only to still have a fair bit in the reservoir when I go to clean it out. That has only happened with one ink so far, so it may be just that one ink. 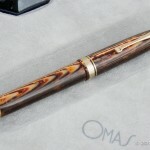 Suffice it to say, I love this pen. 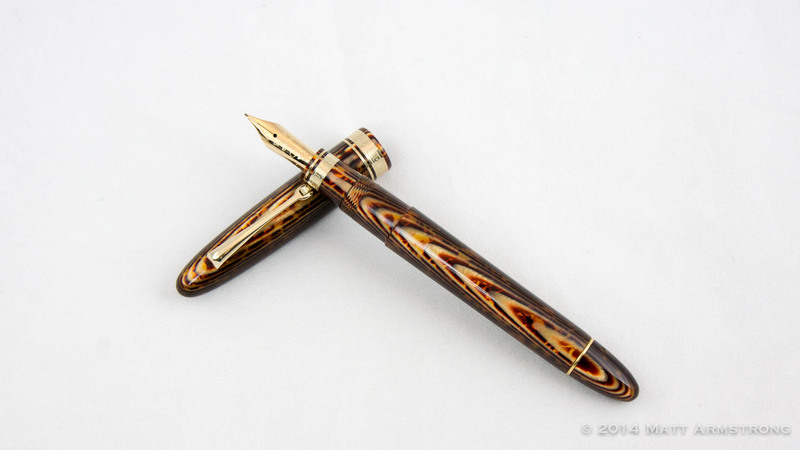 It has catapulted to the #1 spot in my top pens list, unseating the previous leader, the Visconti Divina Elegance. I purchased the pen in December of last year, and it has been continuously inked since that time until about three days ago. 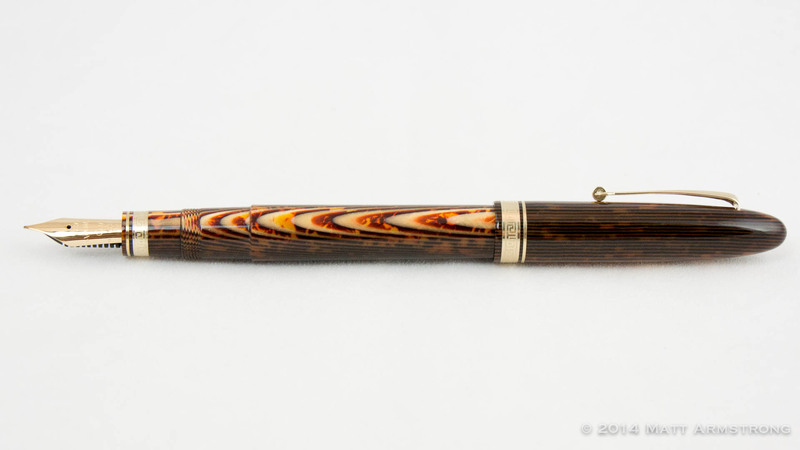 For someone who almost never inks the same pen twice in a row, that should tell you how much I enjoy using this pen. 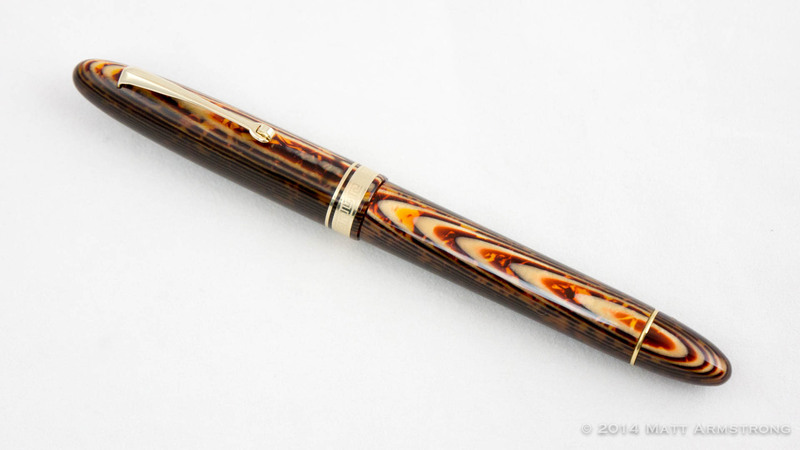 But, perhaps the most telling thing of all: After I bought this pen, I didn’t buy another pen for nearly two months. I loved it so much, I couldn’t imagine wanting anything else. Welcome to new sponsor Fontoplumo!